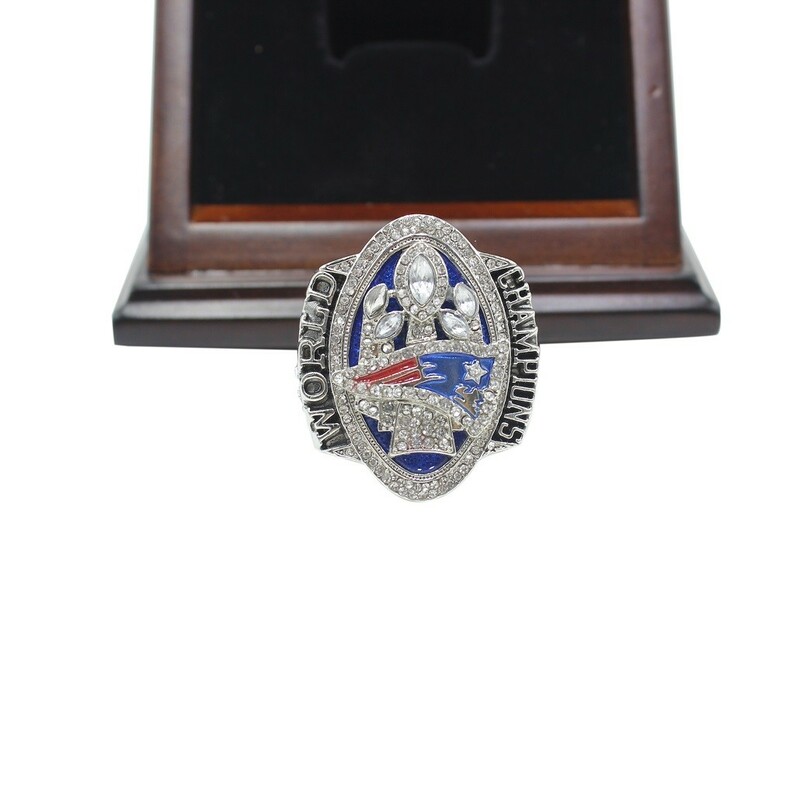 NFL 2016 Super Bowl LI is the last Super game between AFC champion New England Patriots which is most successful team during recent years and NFC champion Atlanta Falcons. 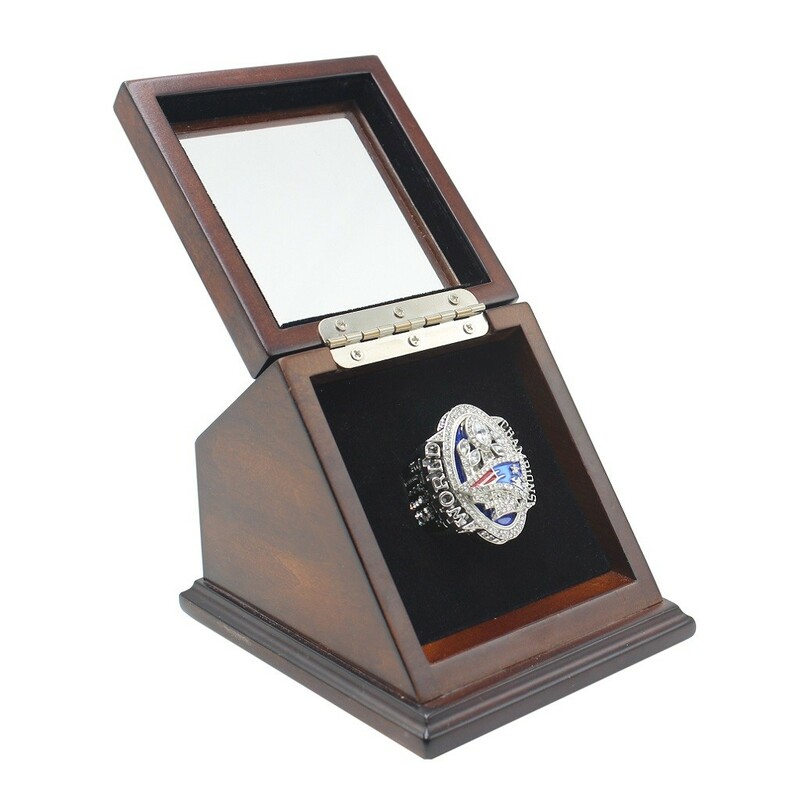 The game started on 5th February, 2017 at NRG Stadium in Houston, Texas. At the first three quarters, Atlanta Falcons kept stay ahead, however at the last quarter, quarterbacks Tom Brady became the hero and lead Patriots to catch the scores to 28:28 at the last 57 seconds, and finally Patriots won the game in over time by 34:28. 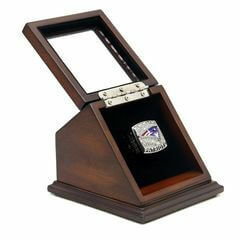 What a great moment for New England Patriots and Tom Brady. 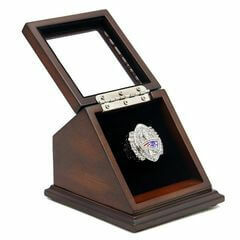 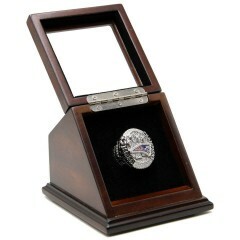 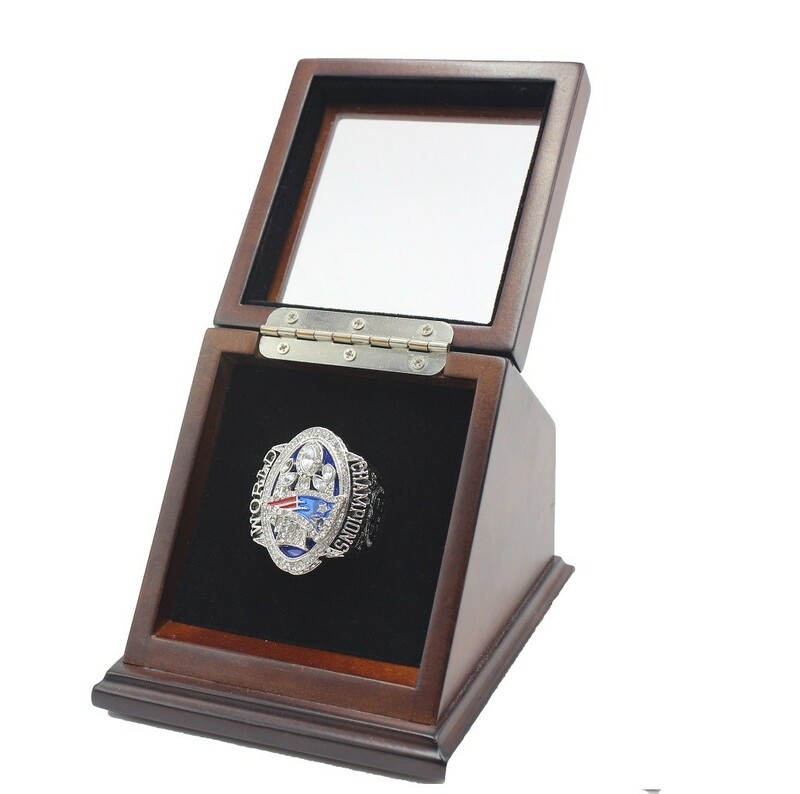 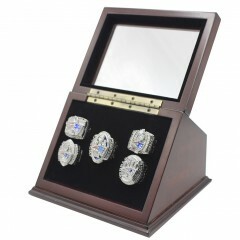 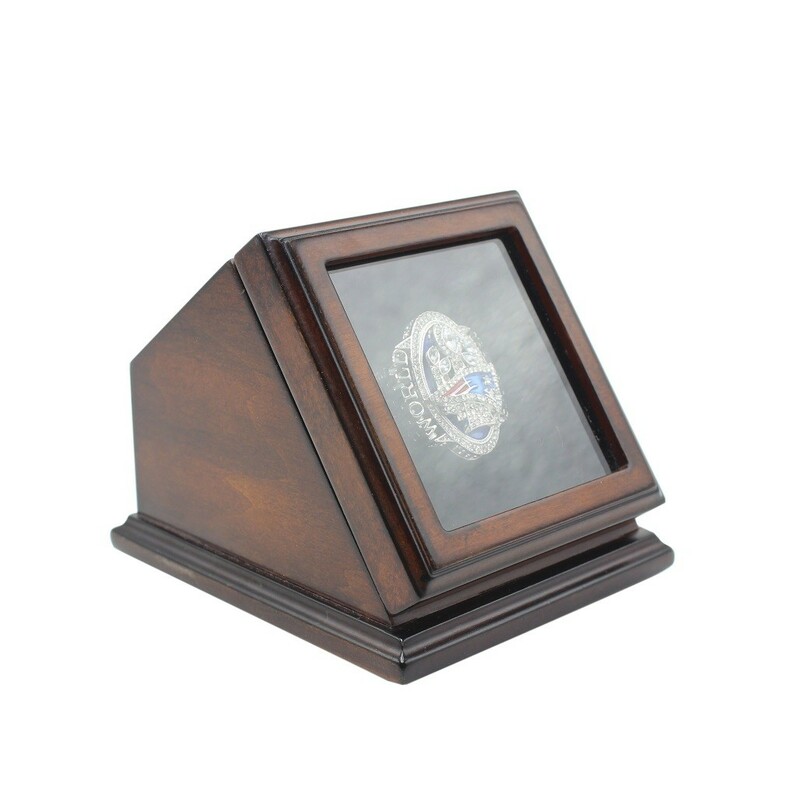 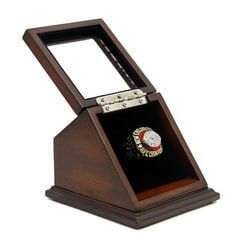 NFL 2016 Super Bowl LI New England Patriots Championship Replica Fan Ring with Wooden Display Case is the thing to memorize that great time in NFL 2016 Season for New England Patriots and Tom Brady who gain the forth Super Bowl MVP within his career. 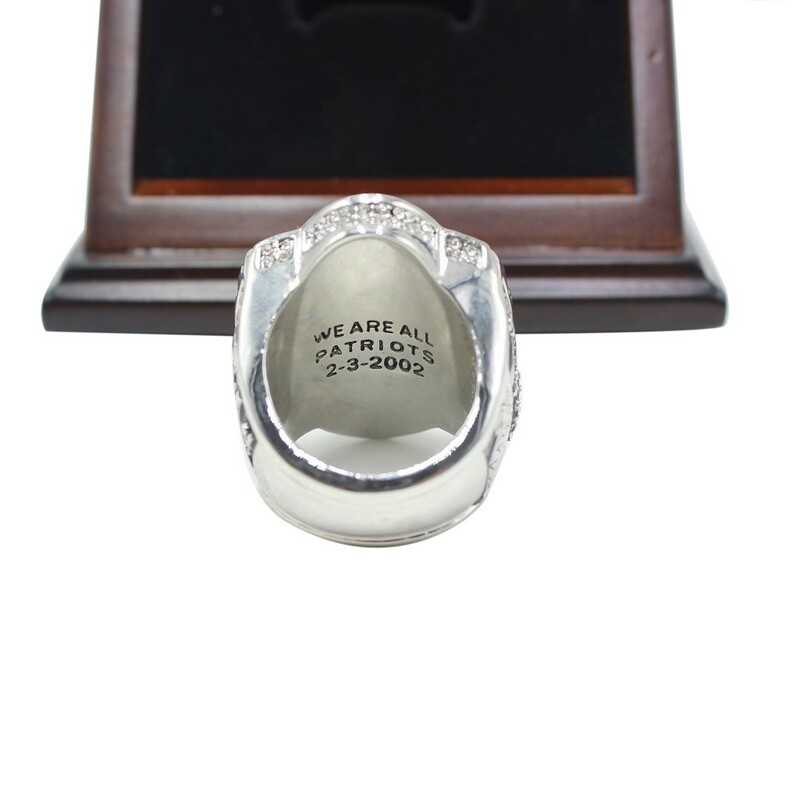 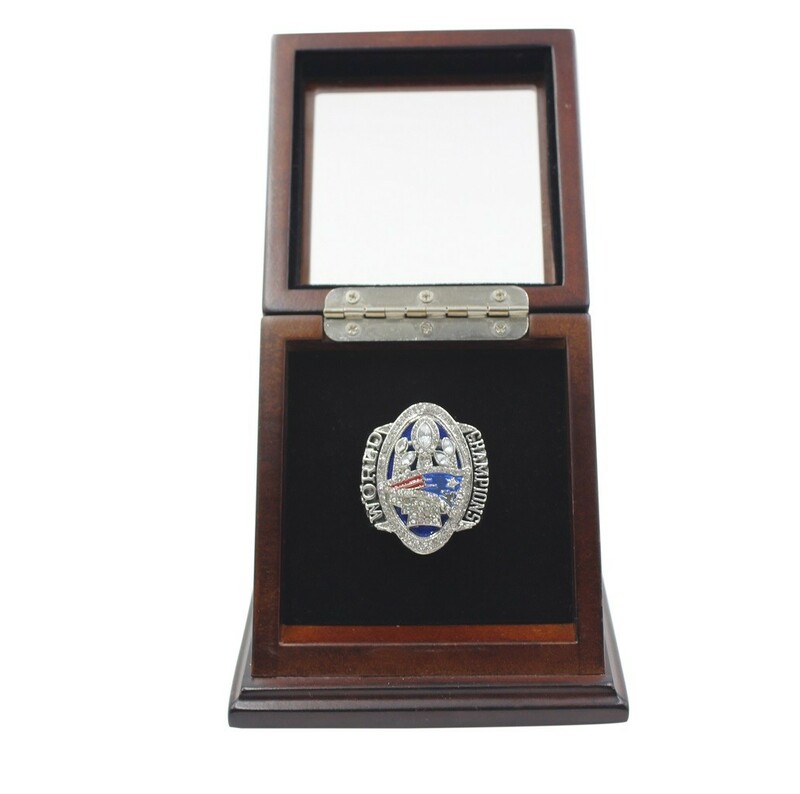 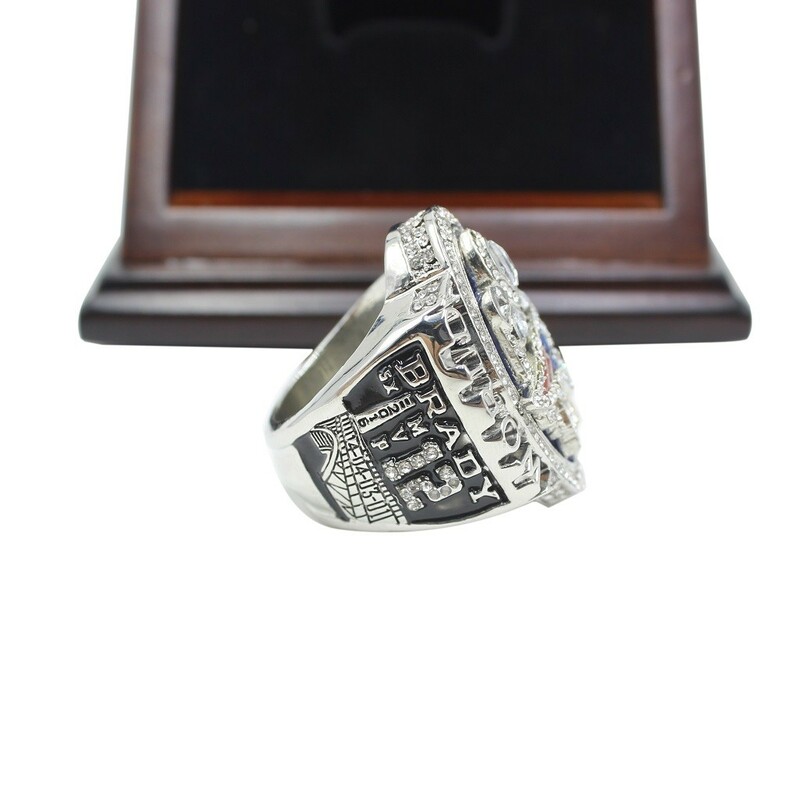 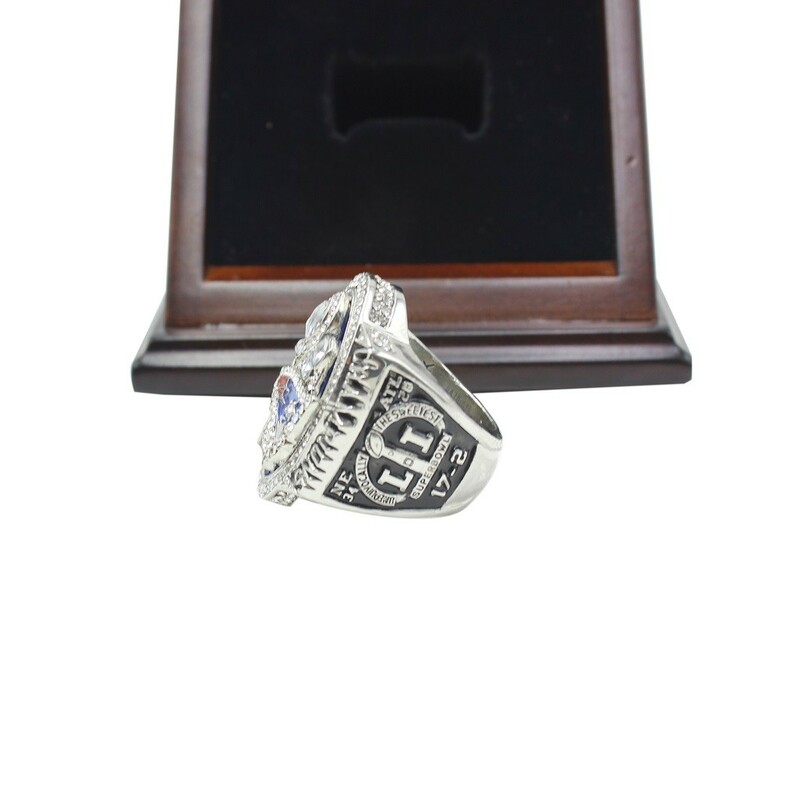 NFL 2016 Super Bowl LI championship ring is the newest Super Bowl ring with Tom Brady’s name on the side of the ring, and with the fantastic wooden display case, it is a great collection and gift for any of the New England Patriots and Tom Brady’s fans.